Sorry for the Absence! G-Fest is Fast Approaching! Insert Another Intense Headline Here! – SKREEONK! I’ve recently moved (which has been fantastic) – yet with the moving came a week long period of no internet. Rough, I know. But here we are, and I aim to come back a’swingin! G-Fest is getting closer and closer. For those of you who don’t know, the movie list for this years fest can be found HERE. I’m underwhelmed, to say the least. Outside of that, I have a pretty nifty photo here that I think some of you fellow fans may enjoy. 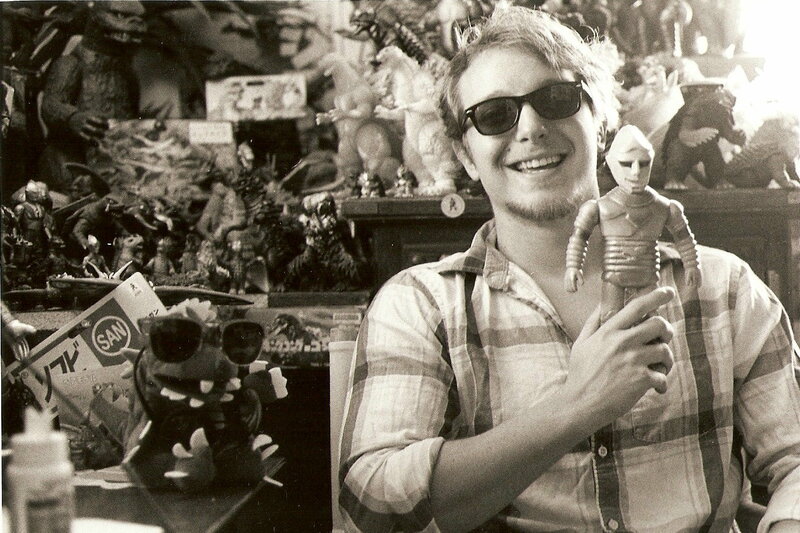 This is me amongst some of my figures – and this photo pretty much encapsulates how this lovely hobby makes me feel! In other news (sporadic, yes?) I’ve added many’a new items to the Marketplace, with many more to come in following days. Be sure to check out all the excellent deals coming from Club Tokyo’s head honcho, the ever awesome Mike J. (selling under the name Mike @ Club Tokyo). Buy stuff! Next Post Quick Pic! ComicBookMovie.com Posts an Article on Jon @ UnCanny’s Collection, Featuring Skreeonk.com! Previous Post BlueFin Spills It in an Excellent Interview with ToyArk!